We are a professional painting and decorating company based in Guildford, Surrey. We have been trading for 10 years and have a long list of clients who have returned to us time and again for assistance on a variety of projects over the period. During this time we have gained valuable experience in all areas of decorating, both commercial and residential. 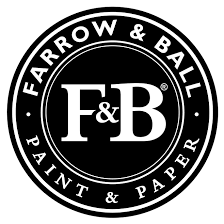 We are a high quality company specialising in professional painting and decorative finishes. We provide a wide range of decorative services South East England and London, from painting and decorating, through to interior design for both commercial and residential premises. Committed to building solid working platforms with our clients, we are focused on improvement, development and the promotion of safe, durable and highly sustainable paint and decorative finishes through the use of environmentally responsible products, striving to minimise our carbon footprint. We personally lead and manage every project from inception, design through to completion and are passionate about providing superior levels of excellence for our clients.